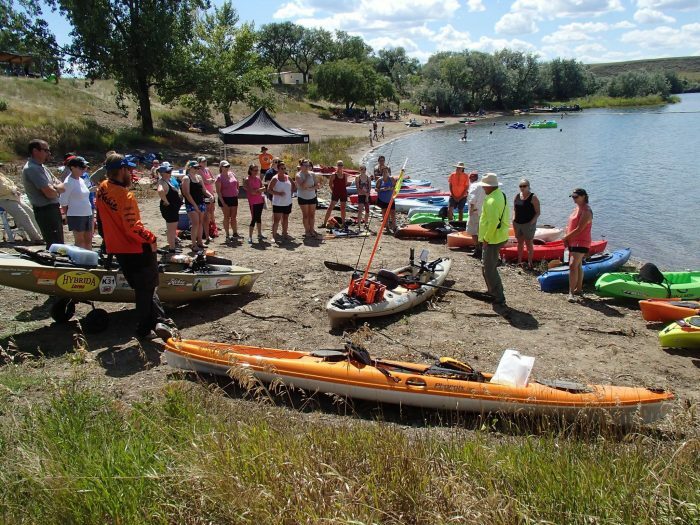 Montana Fish, Wildlife and Parks’ Becoming an Outdoors-Woman (BOW) program is sponsoring two beginning kayaking classes, on August 26 and 27, at the First Dredge swim beach just north of the Fort Peck Fish Hatchery near Fort Peck. One class will be offered each day (participants will choose their preferred day), and the classes will take place from 1-5 p.m. both days. Participants will learn from experienced instructors about different types of recreational kayaks and equipment, fishing from a kayak, safety, and where to go. Much of the time will be spent in kayaks, including getting in and out safely, so participants need to be prepared to get wet. Kayaks, paddles, and life jackets will be available for use, but participants are encouraged to bring their own equipment if they have it available. Please note that both women that are brand new to kayaking and women who have already purchased a kayak but want to learn more about safety and tips are encouraged to attend. This class is designed for women. Girls aged 13-17 can attend, but will need to be accompanied by a participating adult. Class size is limited, so please get your applications in by August 24. Snacks and drinks will be provided, and there will be a $10 fee to offset costs. The registration forms will be available on the FWP website at fwp.mt.gov; click “Becoming an Outdoors Woman” under the Education tab. Forms can also be picked up at the Fort Peck Interpretive Center, at the FWP Region 6 Headquarters in Glasgow, or by emailing Lawana Grewe at lgrewe@mt.gov. Call the R6 FWP headquarters at 406-228-3700 with any questions.